Located at the lower part of the constitution river that traverses through the capital Bridgetown, the careenage is a harbor to yachts, boats, pleasure crafts, catamarans and more. The careenage is replete with shops, walking areas and restaurants making for an entertaining spot. It also is ground for the statue of Errol Barrow who was the first prime minister of Barbados. If you are looking for some refreshing time, the careenage can be one of those places of refreshment. A perfect place to take photographs. Carry your camera. The place is often crowded. Love this? Explore the entire list of places to visit in Bridgetown before you plan your trip. Fancy a good night's sleep after a tiring day? 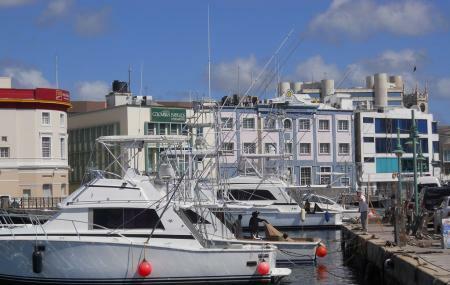 Check out where to stay in Bridgetown and book an accommodation of your choice.